Happy New Year! I have a feeling that 2014 is going to be a fantastic year for Wildflour Bakery, even better than 2013, which was a very good year indeed. I got the opportunity to create amazing cakes for some incredible events and wonderful customers, work with some exceptional and inspiring professionals and encounter some remarkably exciting experiences. For all those who supported Wildflour Bakery during 2013, with your custom, your friendship or your endorsements, I thank you sincerely. The year kicked off with an invitation from the energetic and brilliant Donal Skehan to collaborate on this blog post. I can’t thank Donal enough for his help, advice, kindness and support since we met last January. The blog post went on to be featured in the Weekender magazine of the Irish Independent, and most thrilling of all – made the front cover! In the springtime, Wildflour Bakery was featured with our lovely friend and supplier Rosie O’Sullivan from Spring Cottage Organic Farm on UTV’s James Nesbitt’s Ireland. You can catch the little video clip here. I also got a little mention in The Sunday Business Post. Summertime rolled in with some glorious adventures. 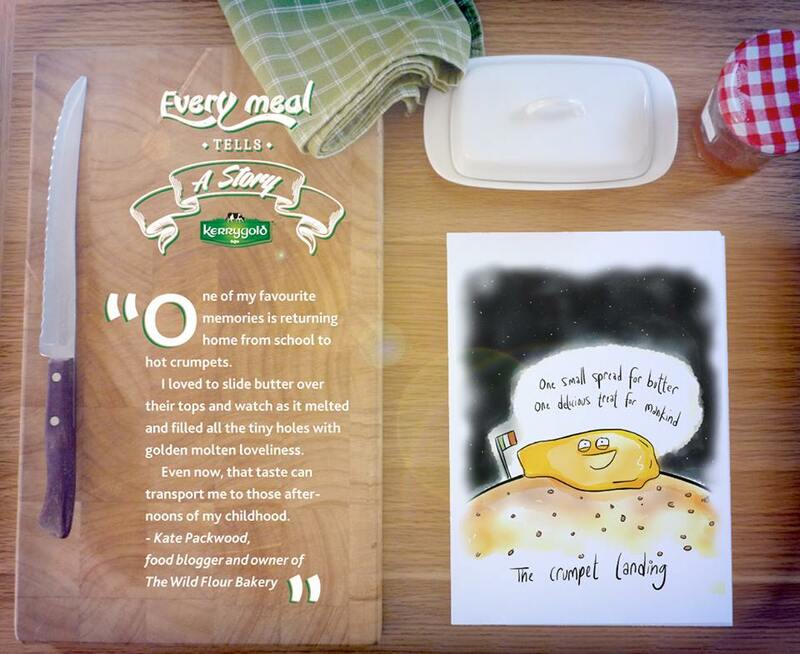 I was invited to be part of the Kerrygold ‘Every meal tells a story’ campaign and my contribution was illustrated by Twisted Doodles. Then a brilliant cause – being part of the MummyPages Baking Book, a collaborative publication to raise money for the Sam McMahon Trust, for children with Friedreich’s Ataxia – a degenerative illness that has no cure. You can pick up your copy in bookshops nationwide. 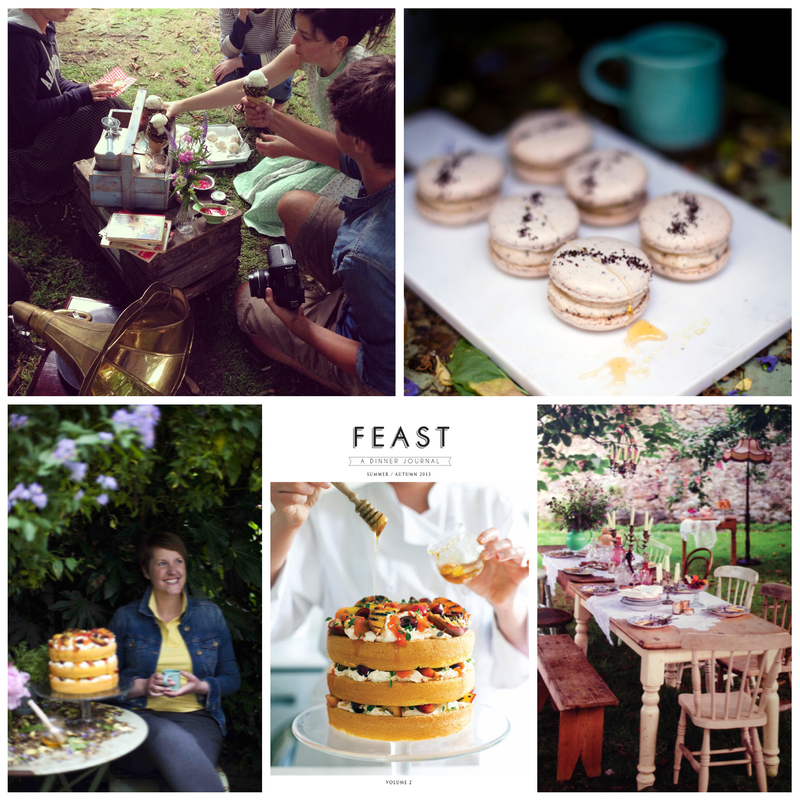 Next up was my favourite – the absolute best thing I did all year – being part of FEAST: A Dinner Journal, which meant working alongside some brilliant and inspiring professionals including Donal Skehan, Sofie Larsson, Sharon Hearne-Smith, Cathy Pearson (Little Piggy Vintage Hire), Ross Golden-Bannon. This was more fun than I can even begin to describe. And, joy of joys, another front cover! The summer also saw a piece in Totally Dublin magazine and nominations in six categories for this blog in the Blog Awards Ireland. With the autumn came a location shoot called ‘Inspired by the Hunt’ at Crom Castle, Northern Ireland with the amazing and whimsical event stylists Pearl & Godiva. The finished piece was featured in Style Me Pretty and you can catch it here. This was followed, hot on its heels, by pieces in IMAGE magazine and The Gloss, in The Irish Times. December saw a piece in Decor8 photographed by the up-and-coming Rincy Koshy, whose transcendent work is a joy to behold. It also saw us partnering with the inimitable Makers & Brothers on a tiny seasonal department store named Makers & Brothers & Others, a Christmas pop-up at 5 Dame Lane in Dublin’s city centre alongside some of the most exciting players in Irish design. 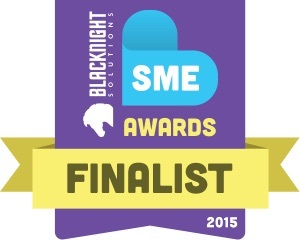 To round the year off nicely, we won a Bridgestone Award: Best in Ireland for 2014. So, all in all, 2013 was a marvelous year, full of hard work, big dreams, wonderful adventures and new opportunities. For those who helped make it brilliant, thank you. Special thanks are due to my wife, Kate O’Halloran and the O’Halloran family, my adored friends Aisling, Stephen, Lily and Alan, and to new friends Adam O’Keefe at Atlas Unit 1, Ajda Mehmet (who is on her way to becoming a truly brilliant food stylist), Rose Hibbitts, Ruth Monaghan, Brendan O’Mahony, Vlad Rainis and to Donal Skehan. Thanks also to all my loyal customers at Honest2Goodness and to all the beautiful brides who let me design their wedding cakes this last year, you were all a joy. Well done Kate. 2013 was obviously a great year and I’m sore 2014 will be even better!